I have ripped out the sock from the craftsy class. Smocked guernsey was the name and you can see by the picture that I was coming down the foot of the first sock. I loved the look of the finished sock in the pattern. It was particularly slow to knit. It has taken me about two weeks of knitting to get this far. The double wrapping of half the stitches on some rows to make the smocking was slow to do, although I liked the result. The yarn drove me crazy. It certainly felt soft and I think it would have been comfortable to wear, but, oh dear, it was splitty. 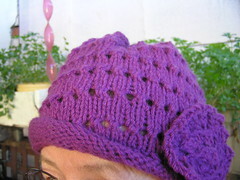 Very splitty, even on normal stitches like plain and purl. I tried to go back and catch the bits in but did not always notice, so stray bits of yarn were obvious in the fabric. Working the row after the double wrap needed a lot of concentration as it was often difficult to separate the stitches which had been wrapped without splitting the wool again. I liked the looser cuff and will probably try that again on another pair. 85 stitches, three plain, three purl rib. The purl rib is decreased halfway down the cuff and stitch count returns to a more usual number. There were other bits of the pattern I was not happy with. I had decided before I started that I would do the pattern as written. I found much of the details to be tedious and unnecessary and thin only an absolute beginner would have needed as much detail as was given. I mean, two graphs to show gusset decreases, one for each side of the foot? I had forgotten how much I disliked knitting heel flaps. I was planning on giving these away as heel flap designs do not suit my feet, not matter how I adjust the flap. I found the ribbing on the gusset a pain and could not see the point of it. Then I looked at it and realised I was stuck with double wrapping stitches all the way down to the toe. And then another sock the same. I could not do it. Before I could stop myself, I took needles out and started ripping back. Now to find some use for the splitty wool. 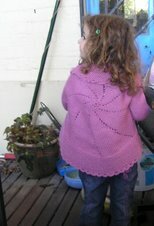 Life is too short to knit splitty wool, to paraphrase another saying. Oh I laughed!! I didn't even consider the wrapping stitch. I did the cuff, which I love, and then plain knitting. I do like a heel flap, and they fit my foot well. Who knew feet could be so different?? Good luck with the splitty wool!!!! I hate wool that splits - and surely hopeless for socks? I like heel flaps - but heel flaps that fit!